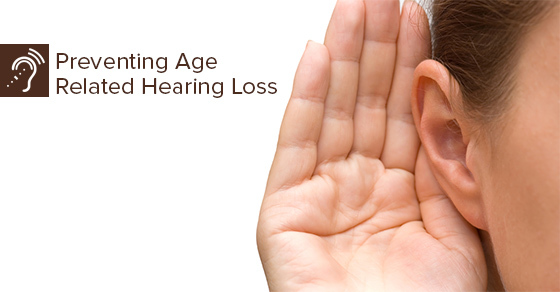 Hearing loss naturally occurs as we get older. The tiny hairs inside your ears that are designed to pick up sound vibrations become worn or damaged, and this leads to a reduction in hearing levels. Once you lose your hearing it is difficult or impossible to reverse, and while it is inevitable that your hearing will gradually go down with age, there are ways you can prevent or slow the deterioration of your hearing ability. Very often it comes down to adjusting your lifestyle as well as controlling your environment as it relates to the level of noise to which you are exposed. Below are our most important tips to maintaining the health of your hearing long into your elder years. The most basic thing you can do is to avoid places where there are high levels of noise as much as you can. Bars, concerts, restaurants and streets are places where you will likely be exposed to high levels of noise. If you are in a public space where the noise is above your tolerance level, ask the person in charge to turn the noise down. If you are a customer, guest or a patron then you have that right to ask, so don’t be afraid to exercise it. If you have to be exposed to high levels of noise then wear hearing protection such as earplugs or earmuffs. They can be purchased at any pharmacy, convenience store or supermarket. You can get something very basic or slightly more sophisticated to reduce higher levels of noise. Research has revealed a link between smoking and reduced hearing ability. Therefore if you are a regular smoker, that would be an additional reason to quit. Certain medications like aspirin can damage your hearing. Read the label carefully or consult with your physician before taking any drug. If you regularly use a drug that contributes to hearing loss, consult with your doctor on which suitable alternatives are available to you. Sometimes your lack of hearing may simply be a case of excessive wax. Check with your doctor to see if your ears need to be cleaned thoroughly. If you are suffering from diabetes then high sugar levels in your blood can be another factor that contributes to hearing loss. Avoid foods that have high sugar content and check with your doctor to see what foods to eat and what to avoid. Regular testing can ensure early detection of hearing loss. This way you can take early measures to prevent further deterioration.